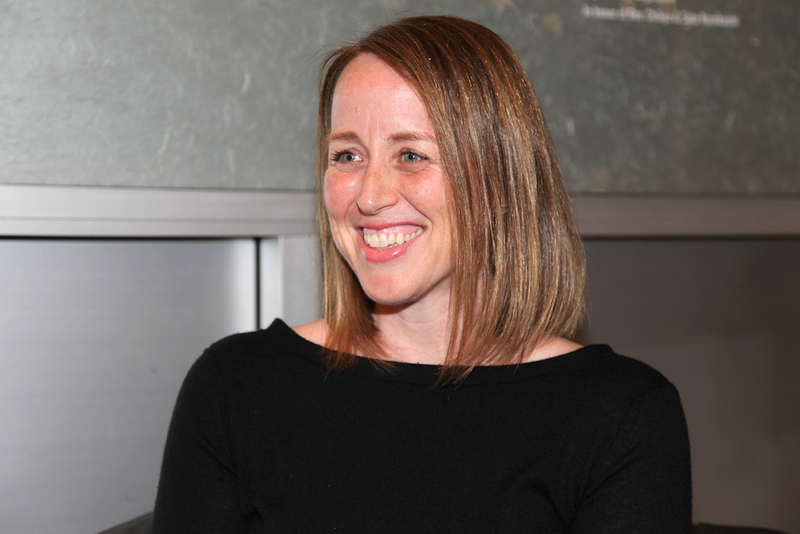 Beth Colgan is an assistant professor at UCLA School of Law where she teaches and researches criminal law, procedure, and juvenile justice, with a focus on the relationship between constitutional interpretation and the practical effects of the law. Previously she was a lecturer at Stanford as well as managing attorney of the Institutions Project at Columbia Legal Services, representing juveniles and adults confined in prisons, jails, mental health facilities, and immigration detention. Before joining a Zócalo/UCLA Downtown event titled “How Will the New Supreme Court Change America?” she spoke in the green room about crime and poverty, smarter ways to fine people, and her sporting differences with Sonia Sotomayor. Who is your favorite lawyer from TV or the movies? I think I’ll go with Daredevil. Because it’s so rare to have a superhero who is also a public defender. What Supreme Court Justice, living or dead, would you most want to have a drink with? I think Sonia Sotomayor would be fun. She’s a huge baseball fan, as am I, though she’s a fan of the hated Yankees and I’m with the Dodgers. If you could swap out the American legal system with the system of another country, which one could you choose? One thing I’ve been studying recently is the use of day fines—fines [tied] to the ability to pay. That’s used in some countries in Europe and Latin America. I’m not sure I’d swap the whole system, but I love that idea. You went to law school at Northwestern. What do you miss most about Chicago? My friends, of course. Fall, certainly. There’s a friendliness to the people there that I liked a lot, and sarcasm is imbued in that friendliness in a way I appreciate. And they make a mean hot dog. What is your favorite place to eat in Westwood? I have never even been called for jury duty, which is sad. I’d love to have the experience so I can tell my students about it. What question do your students most often ask you? Usually, they’re just asking about different career paths. Because I’ve gone through a couple iterations myself, there’s some curiosity about that. Which current member of the Supreme Court do you read most closely? I try to read them all. That’s the job. But I really appreciate Justice Kagan’s writing. It’s very clear. I often tell my students if they’re struggling to take a look at her opinions. How did you first get interested in juvenile justice? I’ve been interested in it since I was a teenager. I had some peers who were involved in the system, and the system didn’t seem to make a lot of sense to me. Then in college before law school, I spent some time in rural Iowa, working with kids who were in the delinquency and the dependency systems at the same time. It’s one of the reasons why I went to law school—the systems seemed to be failing, and the kids weren’t better off at the end of the day. What’s the most important thing to understand about the relationship between crime and poverty? That there is one. We have seen in recent years an uptick in the criminalization of homelessness. We’ve seen an increased use of economic sanctions—fees, surcharges—to fund not only criminal justice systems, but also other programs. This came to light after Ferguson [the events in the Missouri city] but Ferguson is far from alone.